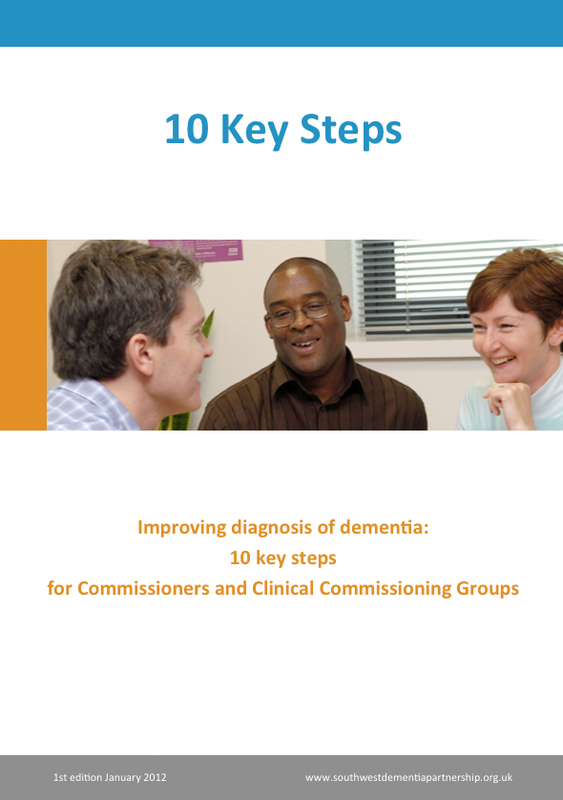 This Briefing has been prepared as a resource for Commissioners, Clinical Commissioning Groups and local partners to develop and deliver comprehensive action plans to improve the rate of diagnosis of dementia, the diagnosis pathway. Diagnosis will be influenced by a number of factors, and multiple actions at different points of the diagnosis pathway. Commissioners will need to introduce a number of actions and changes, and use levers at different points within their local health and care systems in order to achieve and sustain improvement in the diagnosis pathway, and to improve the rate of diagnosis for their local population. This Briefing sets out a range of actions and changes which commissioners could use in a strategic and planned way, to ensure that local trajectories for improvement are achieved in diagnosis of rates, and in the quality of local services for people living with dementia and their carers/families. Tell us about what you are doing locally to design and deliver a service / group / initiative for people with dementia.